Dog Obedience Training is the most common training and you want to get it right! Find out what the best dog obedience training techniques are for your dog and you! Obedience training is for many dog owners, the only form of training in their dog’s life. There are many aspects of successful obedience training and any other dog training, in general. I will break down dog obedience training into a step-by-step guide so that it is easier to understand and to follow. First, we will discuss the more common training methods. Regardless of what good or bad you’ve heard about some obedience training methods, the truth is that you have to be familiar with the different methods out there in order to find out what will suite you the best. No matter how good you may think that a particular method is, if you are not comfortable with it, or if you are unable to perform the tasks correctly, it won’t benefit either you or your dog. So let’s start with the different dog training methods. There are thousands of variations of this type of training that have evolved throughout decades. One of the most popular and the one that I will explore the most is the Clicker/marker dog training as this is one of the leading, and known to be the best, reward-based dog training system. To learn more about the pros and cons of reward-based dog obedience training please see the Clicker/Marker Training page of this website. Also known as Escape/Avoidance dog training. This type of dog training is based on aversive techniques, either by adding some type of a physical pressure to the dog in order to get him to perform the action or by adding corrections for certain behaviors (or disobedience) in order for the dog to start avoiding those action/behaviors. Most dog owners and dog trainers do still use some of the techniques or tools throughout their daily life that fall into this category of training. Sometimes even without knowing it, therefore it is good to know the basics of this type of training, whether or not you choose to apply it yourself. For more information about Compulsion-based techniques in dog obedience training you can see the Compulsion-based Training page. Over time, more and more dog trainers have recognized the power of reward-based training systems so they have started switching some of their traditional approaches, in order to merge these two worlds, combining reward-based and compulsion-based dog training. The goal was to get the best of both approaches and many dog trainers are using this type of dog training today. To learn more about combined dog training techniques and the differences about them see the Combined Dog Training page. 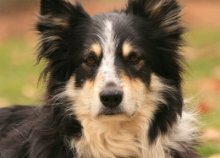 It is crucial to understand some of the basics in order to understand your own dog’s capabilities or how to use some of these “tools” in dog training. Find out more about this important subject on the What a Dog has to Offer page . This is a blueprint for any dog training. It is equally important as the foundation, walls and the roof to a house would be. You can’t miss them and you can’t skip them, and like any other blueprint, your training blueprint, has to be organized in order to work. This is a step by step guide to forming that blueprint. 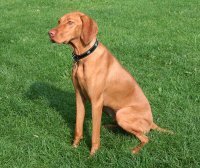 Learn how to build a good plan, and how to recognize symptoms like environmental stress, and how to avoid mistakes that we all do by misreading our dog’s language and signals. Dog obedience training is built in segments, click here to find out how to build a frame for your dog training plan. This part of the website will cover the tools that we use both in dog obedience training and our daily life. Many dog owners, especially new dog owners, are not aware that any tool that we will use to help us reach a certain goal with our dog has to be introduced properly otherwise the implications may vary from small manageable issues up to fear-based psychological or even physical damages to a dog. Learn how to properly use a leash , both for training and for daily interactions. Find out about different types of dog collars like a flat collar, choke collar, head halter, prong collar, citronella collar, dog harnesses, etc. Learn how to introduce tools to your dog and how to use them properly. Once you know how a dog’s mind works and once you have chosen your training techniques, training behaviors is relatively easy. I would say that you will spend more time in building a quality relationship and active participation with your dog than you will in training most of the dog obedience commands . Below, I have listed some of these basic commands and each one has its own link so that you can learn the different approaches for how to train each one of them. Once you have mastered the art of dog training it is easy to train your dog any new behavior. When we talk about advanced or competition dog training, we are talking about a slightly different approach to more or less the same exercises as in basic dog obedience training. The difference is in the correct positions, postures, speed, accuracy and overall performance. To reach these more demanding criteria we are using slightly different approaches to shaping behaviors like sit, down, etc, which would be impossible to attain otherwise. Here you will learn new ways of training, as well as different techniques like muscle memory, learn how to use a dog’s drive, etc. You will also learn about what you should look for if you are choosing a dog for a certain sport. If you are planning to participate in dog sports like advanced dog obedience, agility, or protection and ring sports like Schutzhund/IPO, etc. you will find the necessary basic information to set you in the right direction. To learn about these techniques and how they apply in different dog sports please Click here. What dogs have to offer? Here we will introduce the dog training tools that are mostly commonly used in dog obedience training or in our daily life with our dogs and how to properly introduce them to our dogs and how to properly use them. Dog obedience training and dog training in general is slightly different for pet dogs than for competition/ sports dogs, therefore the course of training is different. In order to present both worlds, I will separate dog obedience training into two groups, one for pet dogs and one for advanced sports. Competitive obedience is a sport for itself, or a vital component for many other dog sports. 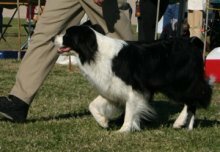 The difference between classical pet training and competitive dog obedience training is in the techniques and the results themselves. There are many more components and many more details to be aware of when we are training competitive dogs, in order to start we will go through each command and explain how to train them slightly differently then with basic obedience, in order to achieve the level of performance necessary for competition trials. Is Dog obedience training necessary? It is not necessary; there are dogs out there that have great manners and a great relationship with their owners and the environment in general, despite never having had any formal obedience training. This may be due to many different reasons such as a handler’s experience, time spent with their dog, a perfect match between handler and dog, etc. However, it is almost impossible to proceed to any advanced dog training without first completing dog obedience training; as well, for most dog owners it is a necessity in order to have control over their dogs in their daily lives.